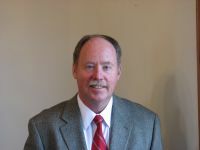 Mike Dougherty is the Managing Broker of Colorado Front Range, Realtors, LLC. Along with his wife Sherry, he has owned this company for 10 years. Prior to starting CFRR, Mike worked at Prudential LTM Realtors, Longmont, CO, where he earned top sales awards and received many letters of commendation from his clients. Mike is respected for his meticulous care and concern for his clients and co-workers, as well as his attention to detail in all business transactions. Mike truly has a passion for his work and enjoys assisting his clients through the many ups and downs of buying and selling their home. His clients know that he will walk through the process of buying or selling their home from the beginning until closing, never farming them out to an assistant once a contract has been accepted. Mike is a native of Longmont, CO, and his family has lived in this area since 1918. Before entering real estate, Mike was a high school band teacher. He has a BA and Masters of Music Education from the University of Northern Colorado. He was an award winning high school band director in many schools in Colorado as well as Nebraska. If you are around Longmont some evening, you just might hear him playing with a jazz group or concert band! 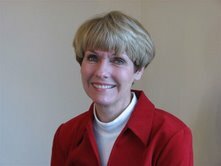 Sherry holds a BA in English and Journalism as well as a Masters in Elementary Education. Before working in real estate, Sherry taught in the Boulder Valley Schools and is presently tutoring elementary aged children part-time in her home. Teaching has always been a love of hers, and she can’t entirely give up working with these very special children in Berthoud and Longmont. 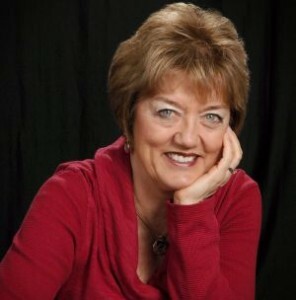 Jannelle Johnson has been a member of the National and the Longmont Association of Realtors since January 1999. During that time she has assisted many buyers and sellers in the most important family and financial decisions of their lives. She is passionate about her Real Estate career and she cares deeply for each of her clients who become very close friends as a result of their time spent together in accomplishing their goals. Prior to working with Colorado Front Range, Jannelle worked at Prudential Realtors for 5 years where she earned numerous National level recognition awards for top sales. After receiving very good training with a nationally franchised company, she is now very happy working with a local company which shares in her commitment to each and every client! Here, we treat our clients’ money as if it were our own and like to help them to keep more in their own pockets! During the 34 years that Jannelle and Mark have been married, they have moved many times. They met at the Univ. of Wyoming and married after Jannelle got her degree in Education. Jannelle taught Elementary Ed. for many years. They have lived in Wyoming, Wisconsin, Minnesota, Seattle area, Anchorage, AK and have now found where they want to stay forever! Moving has given her a better insight into the importance of choosing a great Realtor. They have raised 3 grown daughters who are the joys of their lives! Besides her love for working as a Realtor, she enjoys being active in her church (Longs Peak UMC), her PEO Chapter, Special Olympics of Colorado, and reading, traveling, some hiking and skiing. Please call her whenever you hear of anyone who is wishing to buy or sell Real Estate. She will get the job done and do it well!